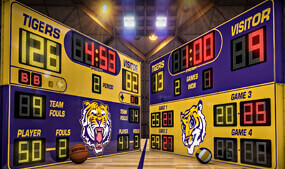 Spectrum is one of the largest privately owned custom scoreboard and electronic LED display manufacturers in the US. We feature a full gamut of video, message, data, and marquee sign displays for corporate, industrial, institutional and small businesses. Our products are celebrated for ease of use, beauty, peak performance and uncommon industry durability. 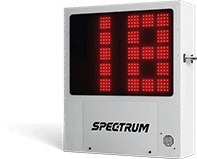 Spectrum products are constructed using only the finest materials and craftsmen, with exceptional longevity, backed by premium service and warranty. 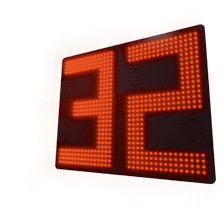 SpectraLite™ Ultra-Bold Stroke LED digits are formed using a matrix of 3” wide LED clusters! 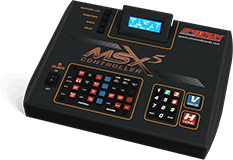 That means you get a wide stroke, more LED’s per digit, better daytime readability and increased angle viewing! 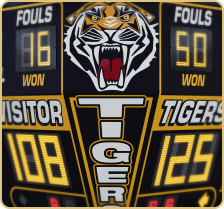 Our bold, progressive font style is easy-to-read, up-to-date, and enhances the scoreboards overall impression. 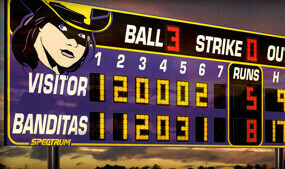 You can personalize your scoreboard by adding your 'Team Name' in place of 'HOME' at no additional cost. 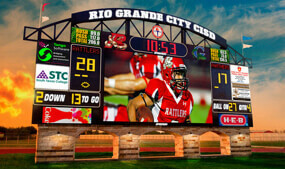 Horizon™ Outdoor LED Signs offer beautiful curbside information for your audience. 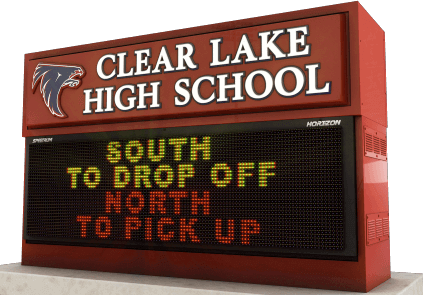 Each outdoor sign is custom designed and carefully crafted to provide many years of dependable service.